Natural Health News — It’s been a week of frustration for men’s health with one study suggesting that supplements of omega-3 fatty acids could trigger aggressive prostate cancer while another suggests dietary sources of healthy vegetable fats are protective. The big headline-grabbing study involved around 3,600 men and is purported to show that those who take fish oil acid supplements – a source of omega-3 fatty acids – were significantly more likely to be diagnosed with lethal high-grade prostate cancer than those with the lowest levels. But what did it really say? The study was more subtle and less straightforward than the headlines suggest. The men in the study were all part of a larger study on the effects of vitamin E and selenium on prostate cancer. The men had normal levels of prostate-specific antigen (PSA) at the beginning of – raised levels of which may be a risk factor for developing prostate cancer. They were assumed to be cancer-free at the beginning of the study but this had not been confirmed by biopsy so there is no way to rule out any pre-existing cancer. In addition it has been shown that some men with normal PSA levels do have prostate cancer and that many men with higher levels do not have prostate cancer. Some of the men were taking Finasteride – a drug which is given to treat benign prostatic hyperplasia (enlarged prostate), but which has been shown to raise the risk of high-grade disease. Indeed in this study high grade cancers were most common in men who were taking the drug and in men who were older. High blood concentrations of the omega-3 fatty acid docosahexaenoic acid (DHA) were linked to a higher risk of high-grade prostate cancer. Omega-3 eicosapentaenoic acid (EPA) was not associated with risk of high-grade prostate cancer, and associations were similar when there were both high levels of EPA and DHA to that of DHA alone. There were no significant associations between omega 3 alpha-linolenic acid (ALA) and high- or low-grade prostate cancer. For omega-6 linoleic acid (LA), there was no association with high-grade disease, but there was an association with risk of low-grade disease in men with a family history; there was no association among men without a family history. Lower blood levels of certain transfats were linked to a lower risk of high-grade prostate cancer. Omega-3s are called essential fatty acids because the body cannot make them; they must be obtained from diet. ALA is obtained from plant foods. In the body it is converted into EPA which is then converted into DHA. Both EPA and DHA can also be obtained directly from marine oils such as fish oil or oil derived from algae. The researchers cannot explain how DHA might trigger higher grade prostate cancer while other forms of omega-3 do not. It does not, for example look at dietary versus supplement sources of omega-3s. In fact, at no point does the study talk about the men taking supplements. In fact we have no idea if they took supplements at all. Although difficult to quantify, it does not address the issue of contamination of marine foods and oils with pollutants and whether these might be influential in the development of cancer. The researchers do not delve into whether DHA might work in some way with Finasteride to trigger high-grade disease. The study does not show whether and to what extent DHA or other omega-3s might affect the progress of prostate cancer – for good or ill – in men who already had the disease. The study does not tell us anything about the men’s total diet. Thus while it is an interesting study, it is hardly the final word on the issue of essential fats and prostate cancer. What was interesting, though, was the lack of risk found in men with higher blood levels of omega-6 linoleic acid. This would seem to support the findings of another recent study, though it contradicts some studies which suggest that omega-6 can promote inflammation and therefore cancer and other diseases. 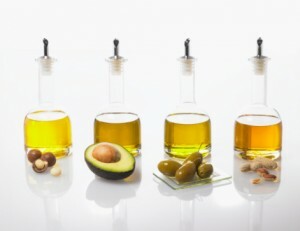 Researchers at the University of California San Francisco found that by substituting healthy vegetable fats, such as olive and canola oils, nuts, seeds and avocados, for animal fats and carbohydrates, men with the disease had a markedly lower risk of developing lethal prostate cancer and dying from other causes. The study, published online by JAMA Internal Medicine and involving nearly 4,600 men with non-metastatic prostate cancer, could help with the development of dietary guidelines for men with the disease. While prostate cancer affects millions of men around the world, little is known about the relationship between patients’ diets following their diagnosis and progression of the disease. The new paper analysed intake of saturated, monounsaturated, polyunsaturated and trans fats as well as fats from animal and vegetable sources in the diets of 4577 men who had been diagnosed with non-metastatic prostate cancer (that is cancer that had not spread) between 1986 and 2010. In looking at the link between diet and prostate cancer survival the authors uncovered a striking benefit: replacing just 10% of calories from carbohydrates with those from vegetable fat was associated with a 29% lower risk of dying from prostate cancer and a 26% lower risk of dying from any cause. A similar association was found when 10% of saturated, animal fats were replaced with vegetable fats. Even after taking into account factors such as age, types of medical treatment, body mass index, smoking, exercise and other dietary factors, elevated blood pressure, cholesterol at the time of prostate cancer diagnosis and other health conditions, men who had the highest consumption of vegetable fats had an overall 36% lower risk of dying from their prostate cancer. But the opposite was also true. Replacing just 5% of calories from carbohydrates with saturated fats or 1% with trans fats was linked to a 30% higher risk of dying during the period of the study. What this means, in simple terms, is that adding a single tablespoon of oil-based dressing a day was associated with a 29% lethal prostate cancer and a 13% lower risk of death, the authors found. And adding one serving of nuts a day (one ounce) was associated with an 18% lower risk of lethal prostate cancer and an 11% lower risk of death. In recent years, evidence has indicated that diet might be an important way for men with prostate cancer to take an active role in determining their disease outcome and overall health. Research on advanced prostate cancer has suggested that fat intake may be relevant to disease progression, though we are still some ways to understanding the full picture. This is the first study to examine fat consumption post-diagnosis in relation to risk of lethal prostate cancer and overall survival. Previous smaller studies have suggested a link between prostate cancer death and animal fat intake. A Canadian study of 384 men, showed saturated fat intake before diagnosis was associated with a higher risk of prostate cancer death. Conversely, a greater vegetable fat intake was linked to a lower risk of advanced prostate cancer at diagnosis.